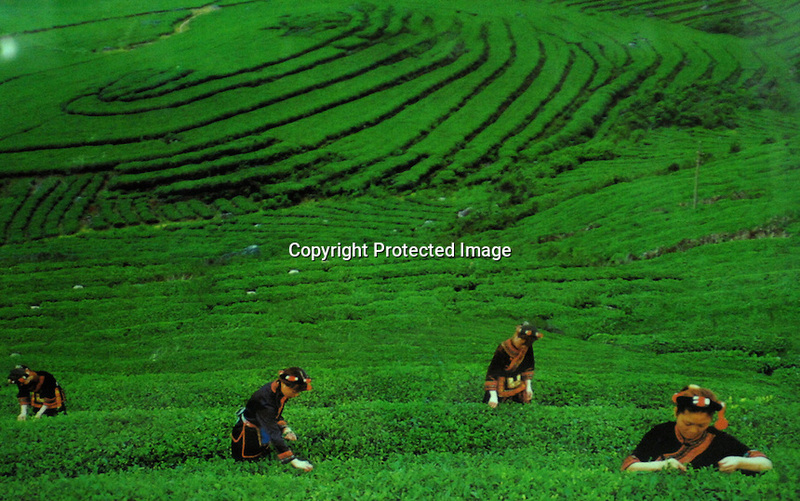 a "pick-up" showing the "idyllic" harvest time at the Heng Yuan Chun Tea Farm in the mountains outside Fuding City, Fujian Province holds"Silver Tip" tea. Workers here are paid around 53 pounds a month during harvest season. The tea sells for upto 20 pounds a pot in the UK.